After earning degrees in interior and industrial design, French designer Jean Louis Iratzoki founded his studio in 1998 on the French coast of the Bay of Biscay. Located in a remote wooded area, his office is a simple cabin-like structure with a zinc roof and large windows. When seated at his desk, all Iratzoki sees are trees while he works. The designer brings a playful twist to the open shelving concept with his Kai Collection (2015). Each comes with two movable dividers (in walnut for white shelves, oak for black ones) and one closed storage box with push latch. 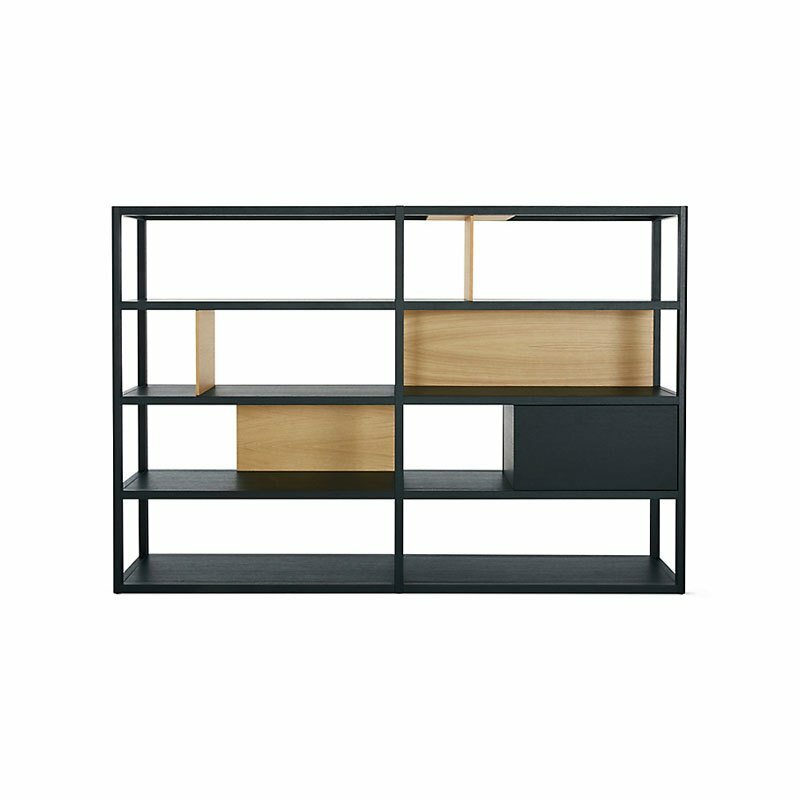 Kai Wide Shelving also comes with two back panels that can be placed where you wish. These units feature solid wood frames fully finished on all sides, allowing them to be used as freestanding room dividers. Made in Spain.